This weeks project is one I’ve been thinking of building for many months. 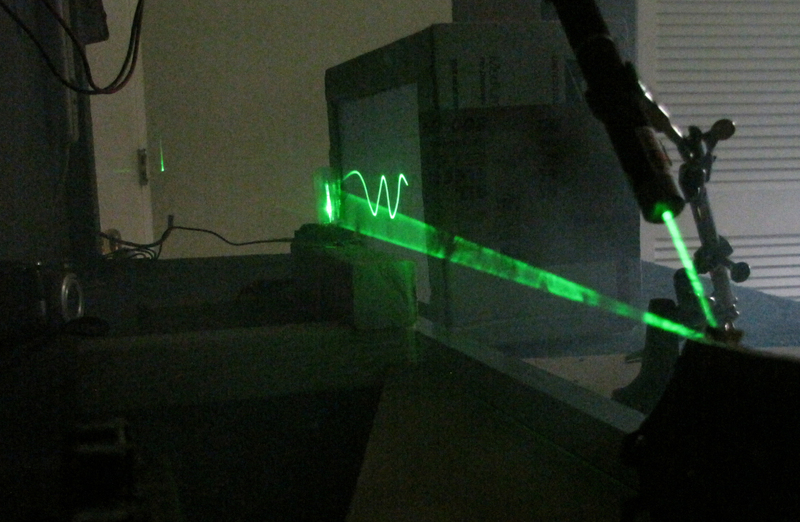 I saw some documentation of an early photographic based oscilloscope with a spinning mirror and a point source of light. 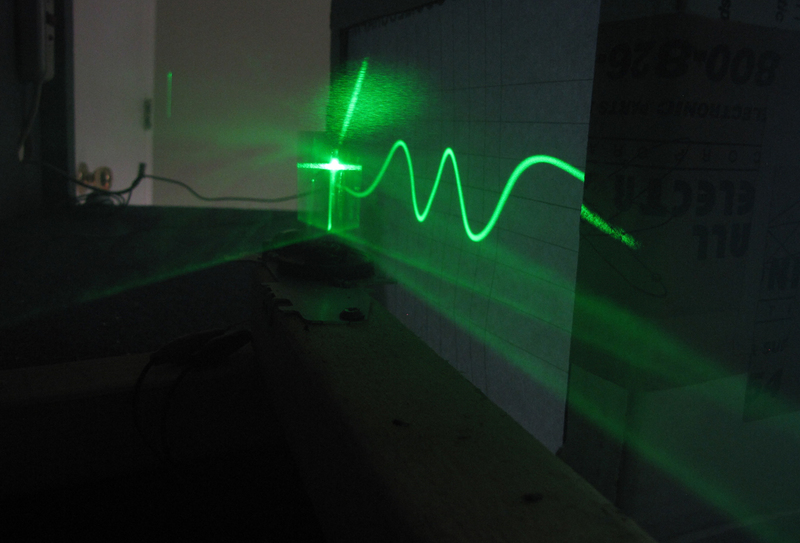 It would capture a single waveform at a time on photographic film but it also showed a live view of the wave form. It was called an oscillograph which is a word derived from the Latin word oscillum, to swing, and the Greek word graphein, to draw. 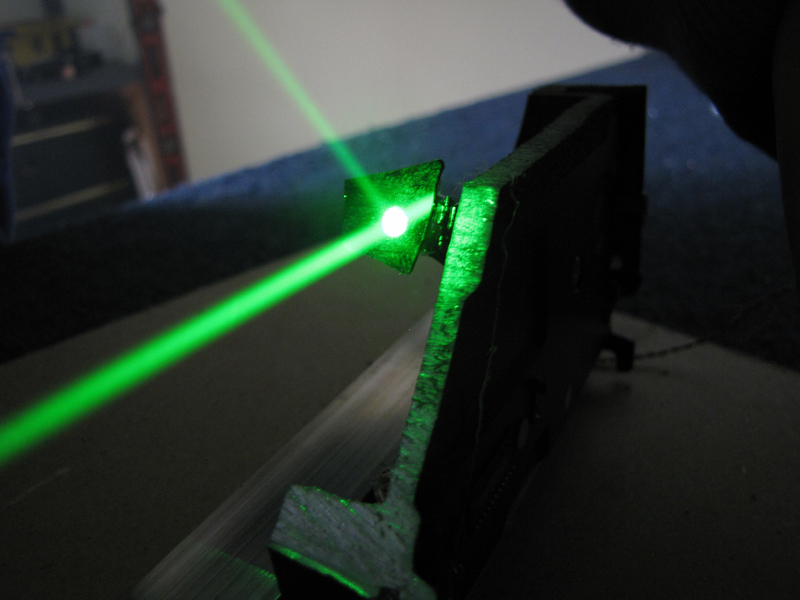 I figured I could build this with a speaker and a laser but then I saw a video recently in which someone used the head armature from a computer hard drive like a speaker. The armature is really just a different configuration of a speaker or electric motor. It has a coil of wire that sits between two magnets. As the voltage fed into the coil changes it’s induced magnetic field, it moves between the north and south poles of the stationary magnet. Perfect! 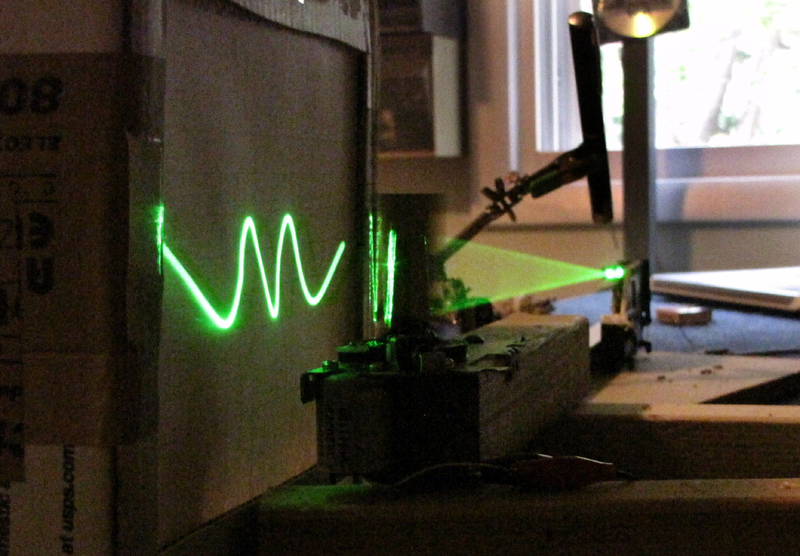 My plan was to stick a laser on that arm, run a sine wave audio signal into the armature coil, point it at a spinning mirror, aim the reflected beam at a projection screen and it should produce the image of the waveform. It took a bit of trial and error, as always, but I finally arrived at a design that works great. 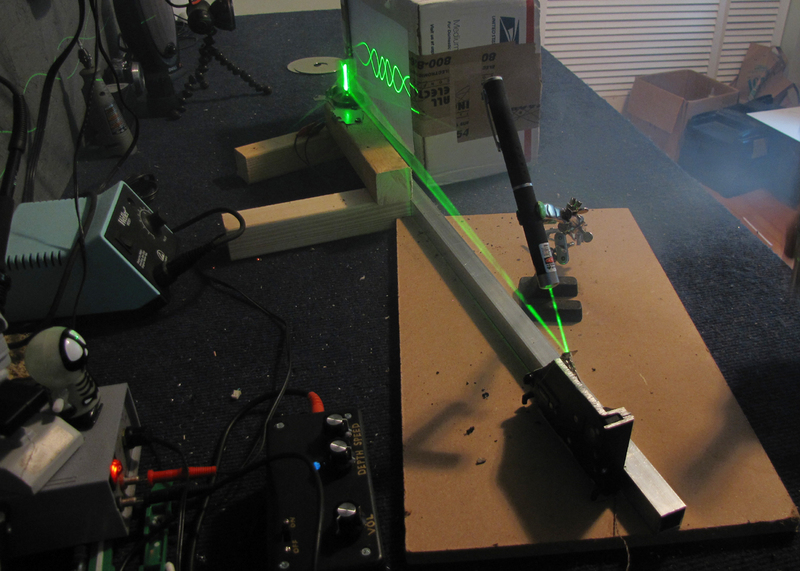 So sit back, relax, and watch the creation of a Laser Oscillograph on my workbench.